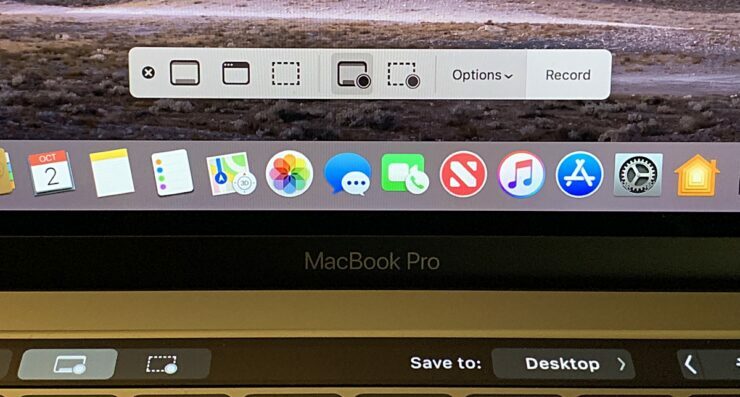 Here’s how you can use the screen recording feature in the newly released operating system for the Mac, macOS Mojave. macOS Mojave comes with a built-in screen recorder just like iOS 11 and iOS 12. While some might not see the benefit of the feature at all but others are extremely blown away by it. In today’s quick tutorial, we’re going to teach you how to use the new feature in a few simple steps. Obviously, you’ll need to install macOS Mojave on your Mac in order to do so. Follow the guides below the return to this tutorial once you’re done with the installation process. So, now that you’ve installed macOS Mojave, you’re now wondering where the new screen recording feature is. Interestingly, it works in the same way as you take screenshots. But to invoke the screen recording feature, first of all press the Command + Shift + 5 key combinations. Once you’re done, you’ll see a new set of options, including those for recording the display. The two options with the record buttons (on the right) are the ones which will kick off screen recording, where the left one is set to record the entire screen whereas the right one will record a portion of the screen. Once you have made the decision what you are going to go ahead with, just click on the desktop and the screen recording will begin. In order to stop the recording, just press on the record button in the menu bar. The screen recording will be saved to the desktop. It’s that simple. Again, some people might not find this feature very useful, but if you are reviewing something or want to share your display with someone then it will prove quite handy. If you need a quick idea on how this feature can prove quite handy: use it to create GIFs. Nothing else.